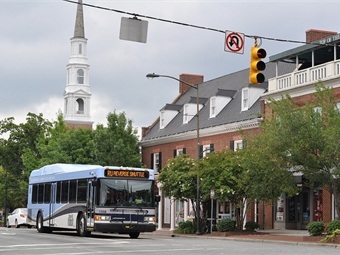 CHAPEL HILL, N.C. — The Town Council approved a five-year contract for up to 53 clean-diesel Chapel Hill Transit buses, with the possibility of adding electric buses in the future, The News & Observer reports. Nearly one-half of Chapel Hill’s 99 bus fleet is more than 14 years old, with the oldest buses more than 20 years old. The town last added new buses to its fleet in 2013 and could buy up to 25 buses over the next 12 months. A petition filed by a group of citizens to add electric buses will be considered later this month. Five Chapel Hill Transit buses already use a mini-hybrid system, which relies on electricity to run the engine cooling system instead of a more traditional and expensive hydraulic system. For the full story, click here.